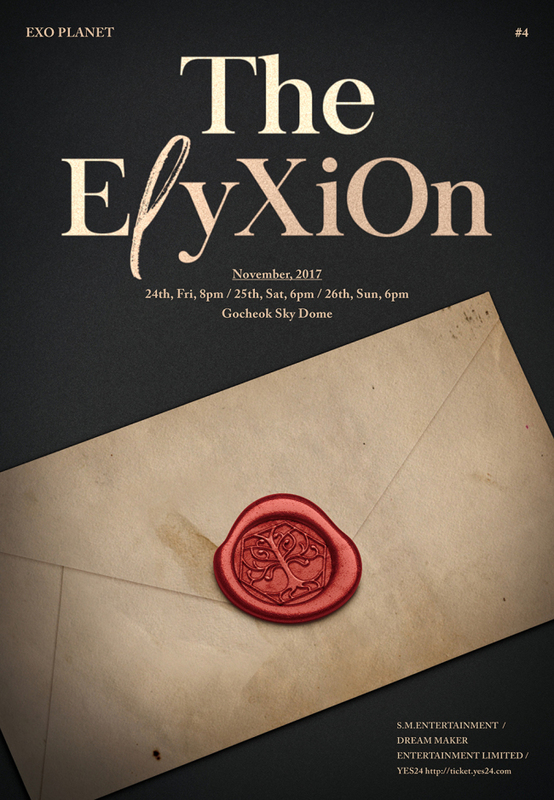 EXO will hold its fourth solo concert “EXO Planet #4 -- The ElyXiOn” from Nov. 24-26 at Gocheok Sky Dome, Seoul, its agency S.M. Entertainment said Thursday. It is the group’s first concert at the venue in two years since it held “2015 EXO-Love Concert in Dome” in October 2015. Gocheok Sky Dome, the first domed baseball stadium here, accommodates more than 22,000 spectators. EXO was the first-ever act to hold a concert at the site and will again be the first to hold a second concert. The title of the November concert refers to Elysion, the afterlife paradise in Greek religion. The concert will portray the theme of EXO members in search of utopia, through music, performance, video and stage management. Ticket sales will open at 8 p.m. on Wednesday at ticket.yes24.com. EXO recently released a repackaged album “The War: The Power of Music” for its fourth full-length album “The War” released in July. “The War” sold more than 1 million copies in less than one month, becoming the boy band’s fourth album to sell more than 1 million copies.